Every year Capterra (a software review website) publishes their Top 20 Most Popular Membership Management Software list — analyzing criteria like customers, members, and reviews — to help organizations decide which option might be best for them. Today I’m proud to share that Wild Apricot has topped that list as number one again. “Since 2013, Wild Apricot has consistently placed #1 on Capterra's Top 20 Most Popular Membership Management Software report" according to Rachel Wille, Senior Product Research Analyst at Capterra. Part of the reason Wild Apricot is so popular is because we’re one of the most affordable and easiest-to-use options, while still providing a wide range of features and functions. Take a look at the chart below, which compares Wild Apricot’s functionality and price versus other membership management software options. If you’re in the market for membership management software, I encourage you to consider Wild Apricot. Start your free, 30-day trial now — you can have a professionally designed website complete with online registration for membership and events ready to go in just an afternoon. 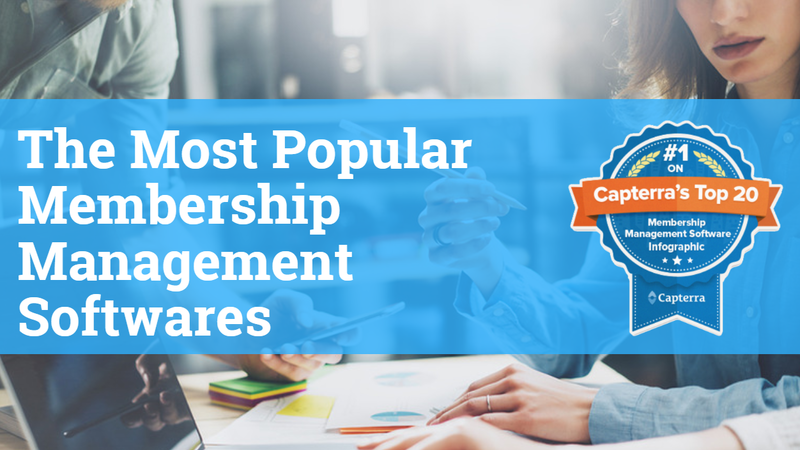 If you'd like to browse more options, I've included the top 10 most popular membership management platforms as reported by Capterra from their list. I've included details like price, whether there's a free version, and a basic description of what they specialize in to help you choose between them. Wild Apricot is the number one provider of membership management software, used by over 20,000 organizations around the world. Wild Apricot can automate nearly all your admin work, like managing contact records, membership applications and renewals, handling website updates, tracking event registrations, and sending out receipts and reminders. In just an afternoon you can have a whole new website set up complete with a robust contact database, event calendar, and online payments. Start your free, 30-day trial now. Member Planet is used by religious groups, schools, PTAs, and other nonprofits. They specialize in email campaigns, group text messaging, surveys, donation campaigns, and more. ASI (iMIS) makes it easy to recruit new members, boost member engagement and increase member retention. With iMIS you can create an online community, communicate with your members, and manage your entire web presence. 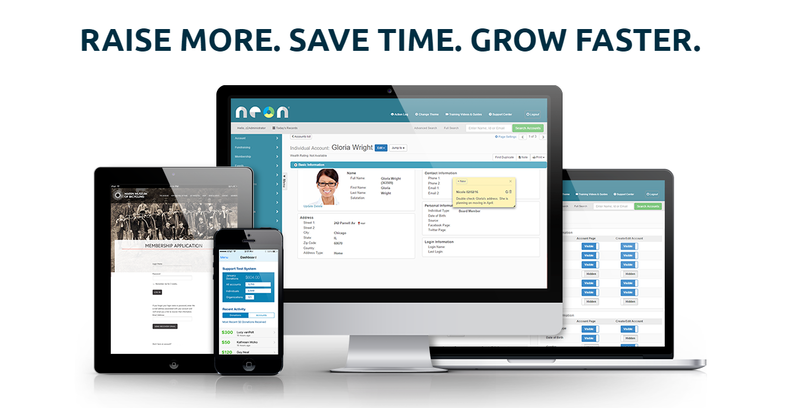 NeonCRM is a nonprofit customer relationship management system used by over 3,500 organizations. Their three main features are fundraising, membership management, and online event registration. YourMembership offers all the bells and whistles of an all-in-one management platform including memberships for individuals and organizations. They also offer product training, unlimited support and free maintenance updates. Regpack is primarily an online registration software that can be used for membership organizations. They have integrated payments, events, forms, surveys, and more. Memberclicks is an all-in-one membership management system designed for small-staff professional associations, trade associations, and chambers of commerce. They are one of the oldest membership management softwares, serving organizations since 1998. StarChapter is an integrative association management software with responsive website, membership, event, and email modules. They offer 24/7 customer support and ongoing board training sessions. EZFacility offers a comprehensive, all-in-one management system for tennis clubs. Along with basic features like club and league scheduling, online registration, and rental management, they have many additional features like equipment rental, locker management, self-serve access, and player passes. Invanto’s specialty is in providing an easy way to create online courses, training portals, and sites for your membership. They also have an app store for extra features you may need, like landing pages, or a point-based store. If you'd like to see the full stack of all the membership management softwares Capterra considered, you can view all the details on their website here. Best of luck in choosing the right platform for your organization!